Few things in this world are better (if you ask us!) than packing up everything you need for a few days, or a week, or a month, throwing it into a pack, hoisting it onto your back, and hitting the trail. In a similar vein, few things in this world are worse than loading up your pack and hitting the trail with a crappy sleeping system. Sleepless nights do little to help your body replenish and restore, and waking up sore and cranky is not the most ideal way to start of your days in gorgeous places! Whether it’s loud crinkly material, a pad that’s too thin to keep your hips off the ground, one that’s too short, or one with a leaky valve – you name it, and we’ve experienced it before, and it’s kept us awake. Sooner or later (well, about a year ago) we said enough was enough and we set out to create our own sleep system. 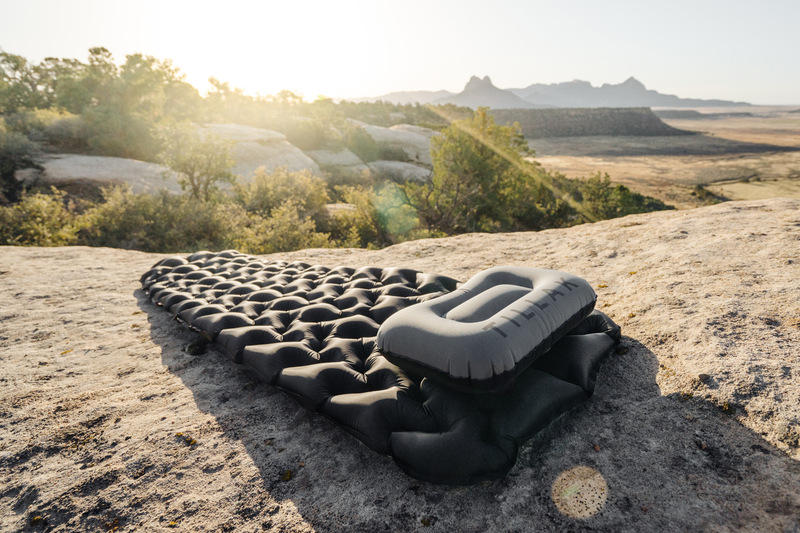 With our rich history of failed backcountry sleep attempts, we knew exactly what we wanted from a sleeping pad and pillow – quiet, comfortable, warm, compact, dependable, and extremely lightweight. 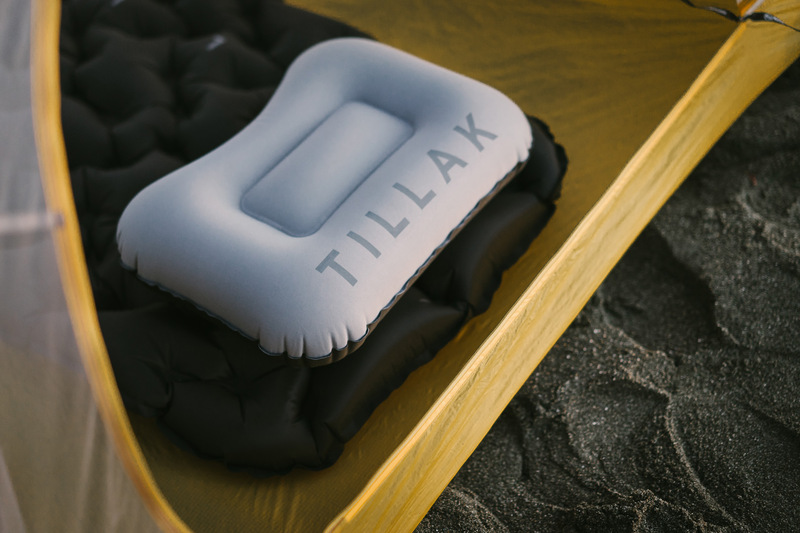 And so after a year of designing and testing we would like to introduce the Tillak Sleep Series; an air mattress and inflatable pillow that are both light and compact enough for ultralight backpacking, but comfortable and durable enough for weekend car camping missions, or for accompanying you on trips abroad. Oh yeah, and they don’t come in gross colors like everything else out there, just black and gray, the way we like it. When we set out to create the Shasta Ultralight Sleeping Pad we did so specifically for extended backpacking trips, when the miles are long, weight and space in your pack is at a premium, and sleep/recovery after each long day on the trail is critical. In doing so, we’ve also designed an air mattress that is so light, compact, and comfortable that it’s also become our staple sleeping arrangement for less weight-conscious car camping trips, and we even bring one along when traveling for work or staying with friends (opt out of the couch or spare bedroom when with a group, you’ll appear extremely polite in doing so, and if you’ve got your Shasta you’ll be the most comfortable one anyhow! #tillaklifehack). Our unique design with its matrix of self-equilibrating Solace Cells adjusts to the shape of your body to keep your hips and shoulders supported and comfortably suspended, whether you sleep on your back, stomach, or side. In addition to providing sleep-inducing comfort, our Solace Cells also minimize contact with the cold ground, which acts to inhibit thermal conduction and helps keep you warmer for longer. The cavities between Solace Cells have also been designed to provide plenty of deep, isolated pockets for the underside of your sleeping bag to fill (or simply to be occupied by air), which provides for an additional level of insulation and heat retention. No more huffing and puffing until you faint in gorgeous alpine landscapes; the Shasta Sleeping Pad inflates in as few as 13-15 breaths. Once it’s full, adjust the pressure to your liking with just the press of a finger, thanks to our patented Zephyr Valve System. Deflation is also a breeze, just depress the valve fully and roll it up! The Shasta comes only in Obsidian black, a color we chose in homage to the glassy volcanic rocks that you can find scattered across its namesake mountain. Named for that ubiquitous harbinger of nightfall, (none other than the Great-horned Owl - Bubo virginianus) the Bubo inflatable pillow will lull you to sleep faster than the comforting hoot of our feathered forest friend. 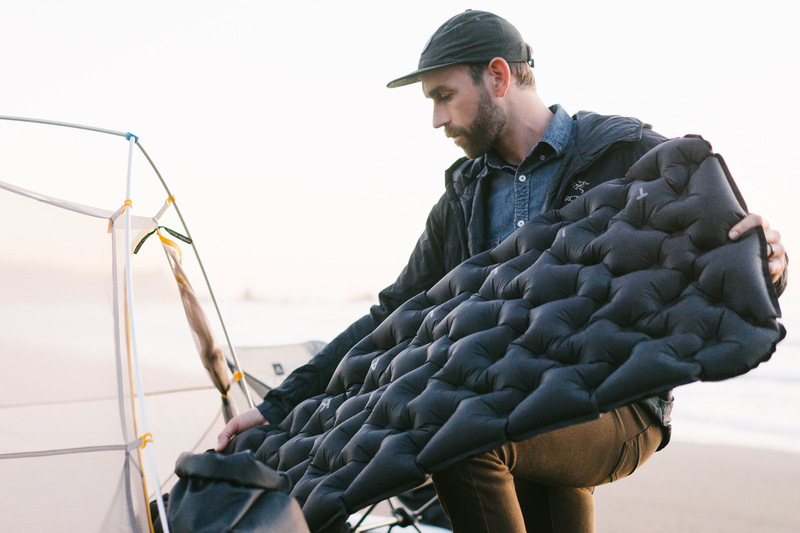 The Bubo’s form-fitting chambered design provides comfort and support for both your neck and head regardless of whether you sleep on your back, side, or stomach. The Bubo is slightly thicker along the back and sides to cradle your head, with the curved side of the pillow fitting snugly between your neck and shoulders for dream-inducing support. The patented Zephyr Valve System is easily adjustable while in use, so you can fine-tune the level of support you need. And when you wake up well rested, it all packs down into its own tiny stuff sack, so small that it can fit in the palm of your hand!